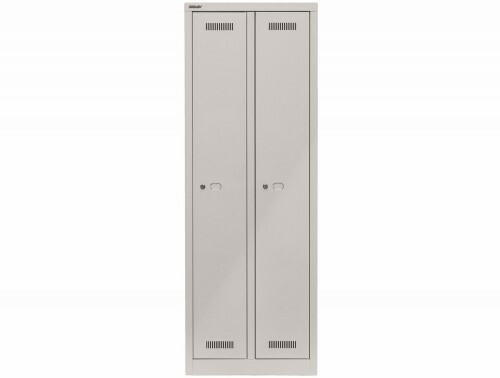 If you are looking for a safe storage solution, our online megastore offers a wide range of steel storage lockers. 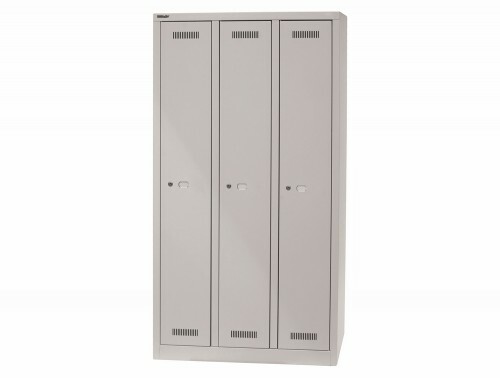 These lockers are suitable for a multitude of locations such as in schools, factories, hotels, hospitals, offices, and gyms. 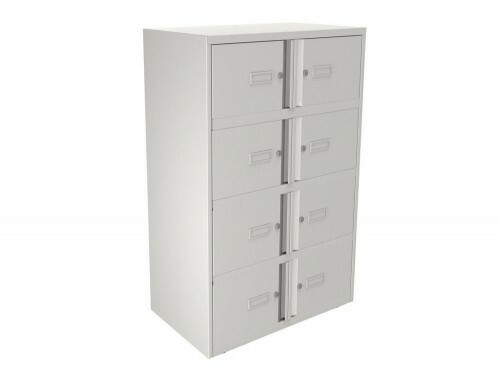 These highly durable storage units are perfect for ensuring your workers and customers belongings are safe. 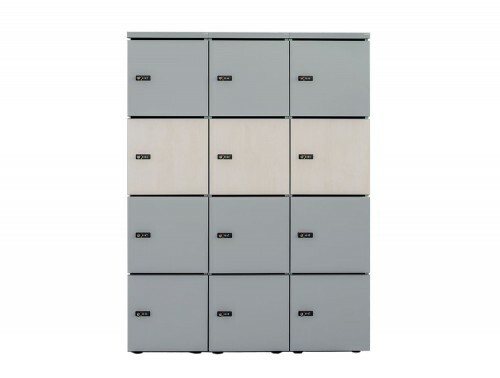 Our lockers are easy to install and come in a wide range of colours, styles, and configurations to suit your needs and your brand. 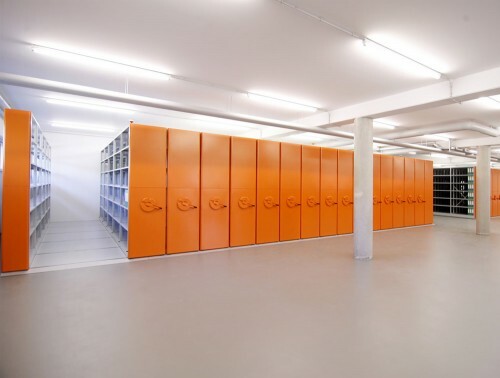 There are plenty of different types of storage locker to choose from depending on your business requirements. 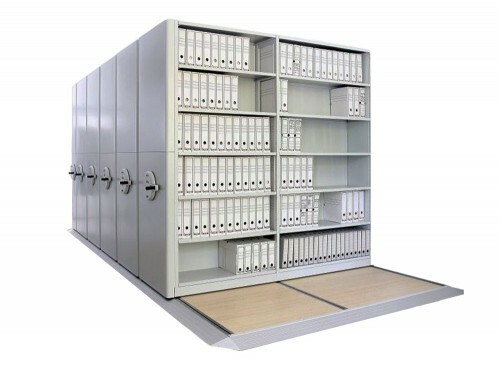 You have a choice between small single cube lockers or large storage lockers that can range from 2 tiers to 6 tiers levels making it a highly efficient and economical storage system to accommodate for a large number of people. 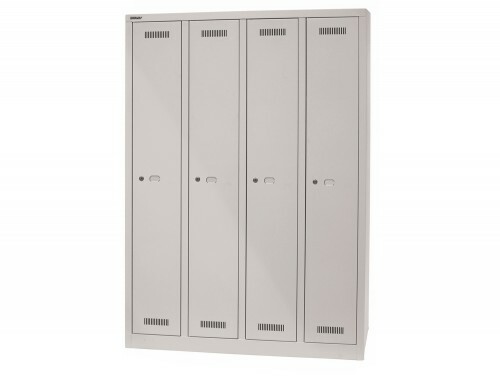 The larger lockers are perfect for hanging clothes and uniforms, keeping them crease free. 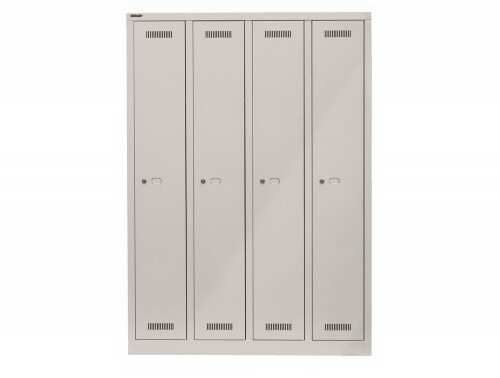 Furthermore, there are the multi-door wallet lockers, which are particularly suited for the storage of wallets, keys, phones and other small items safely, with less space taken up as a result. 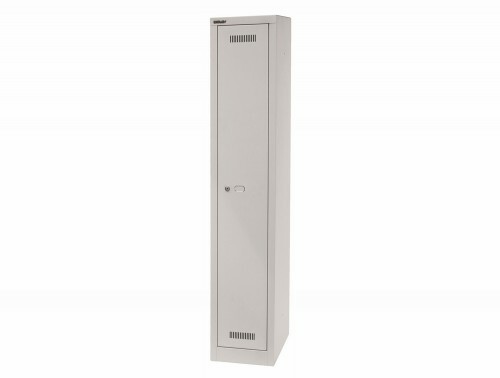 Our range of office lockers come with a lockable mechanism to ensure the highest level of safety. 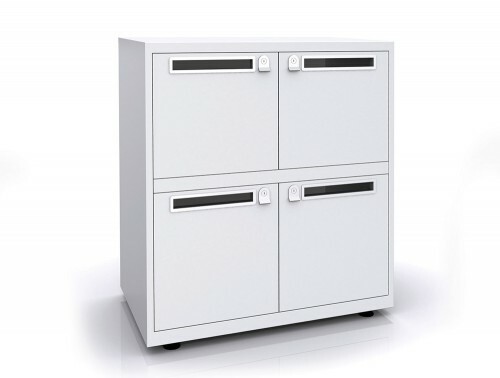 Radius Office Furniture’s range of workspace lockers for sale are designed to be practical, hard-wearing and durable. 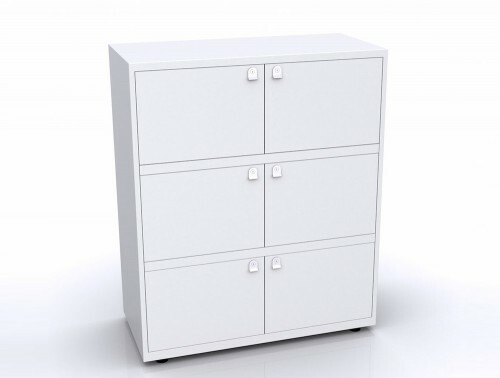 We source our metal storage from some of Europe’s most reputable furniture manufacturers such as Bisley and Dynamo. 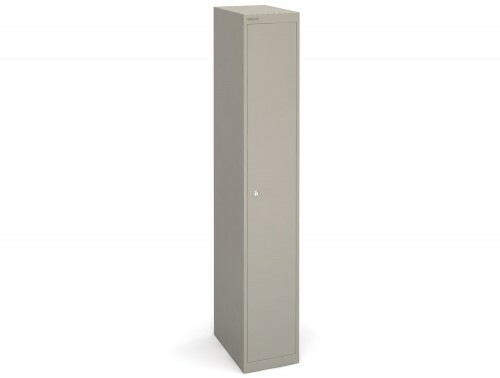 Sourcing from these highly trusted manufacturers helps us to guarantee that when you invest in one of our steel storage solutions, you know that you’re getting a high-quality item. 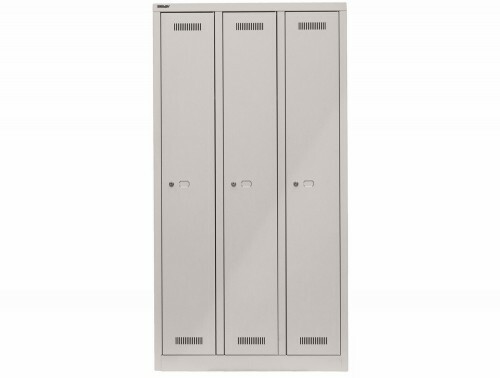 A variety of our metal storage lockers comes with a warranty, which means its functionality is guaranteed during that period of time. 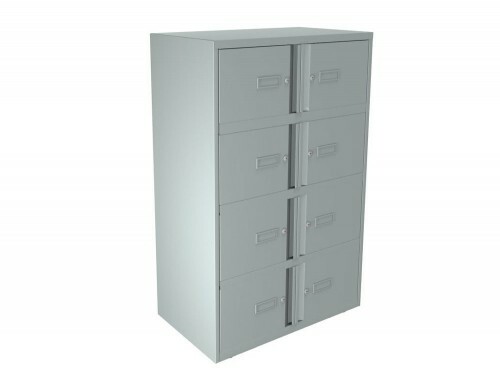 For your staff, safety storage can be of the utmost importance. Workers have plenty to worry about during their day to day activities without having to be concerned about the security of their valuables. In a large workplace, if desks are not lockable, staff are at risk of having some of their belongings pilfered should they step away from their workstation depending on the security arrangements. 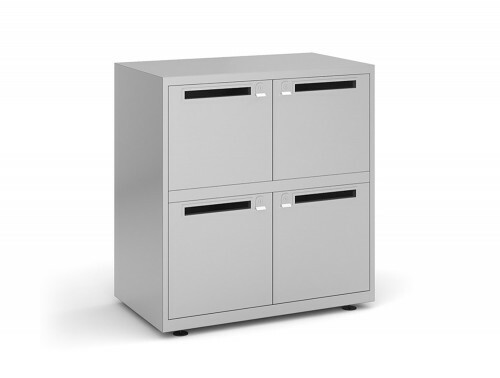 Providing lockable storage for your staff could help to provide a certain peace of mind in your workplace. This could even help to increase productivity now that employees have one less thing to worry about. 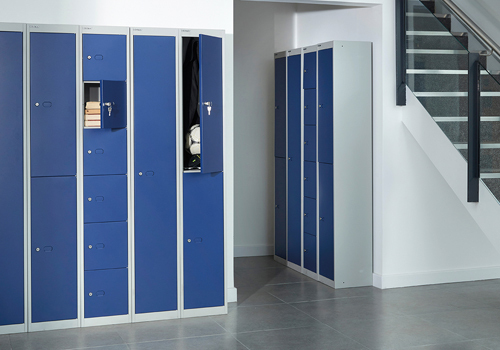 Having safe storage lockers in a workplace would definitely be of the prime importance in factories or in businesses where hot desking is in use. In factories, with clean rooms and rules and regulations, many workers are required to change into specialist clothing before they can start work. Full-length lockers are the correct solution to this. 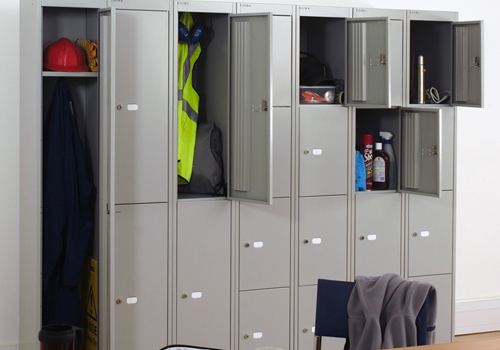 Factory workers can be secure knowing that their smaller valuables along with their civilian clothes are safe and secure in their staff locker. The issue in a workplace with hot-desking is that with no person has a set workstation. An employee can’t comfortably store any belongings at a desk as it will also be used by other workers. 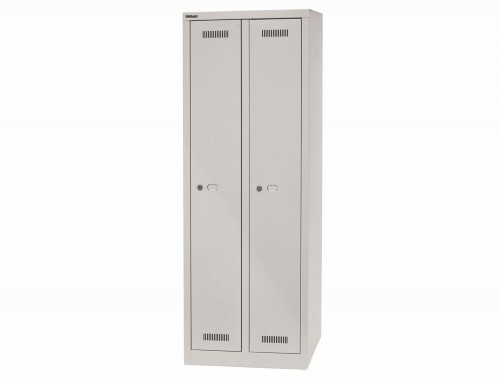 If a worker doesn’t have their own desk, at least if they have their own staff locker as a base to work out of and to store their belongings it will make life much easier for them. 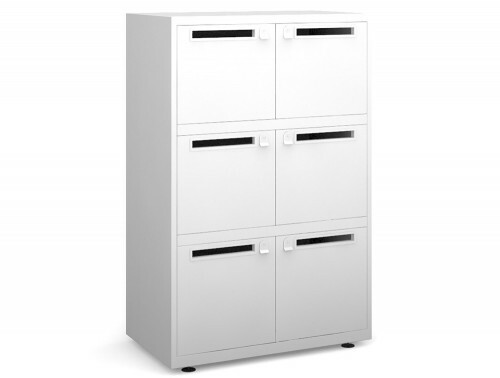 Purchasing brand new office lockers can also revitalise your workplace. These no longer have to be the dreary and grey compartments we’re used to seeing normally. These can make an area seem dingy and depressing. 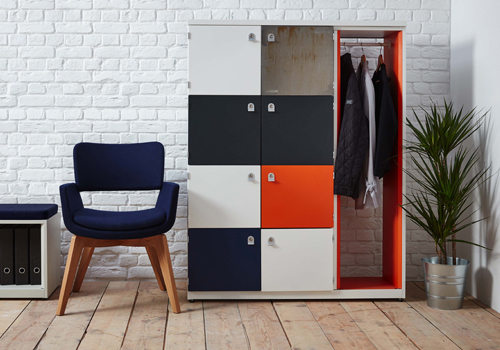 Radius Office Furniture has a great selection of colours that you can choose from to either brighten up the area you will keep your lockers or suit your branding. Colour can be an incredibly important addition to your workplace and choosing the correct combination could foster a better sense of belonging and teamwork should you try to coincide them with your branding. 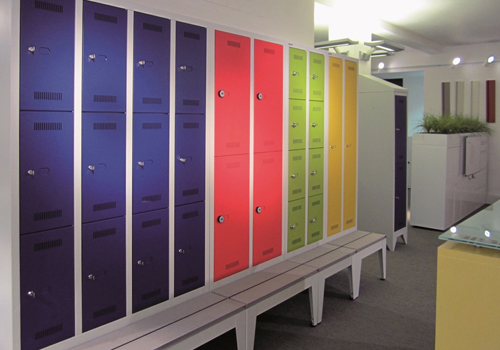 Very simply picking brightly coloured lockers can also have the simple effect of brightening up your business and that surely isn’t a bad thing. Keeping areas neat and tidy can be a major issue whether it’s staff or customers that may leave belongings around and in the way. Storage solutions such as these can help prevent this untidiness. 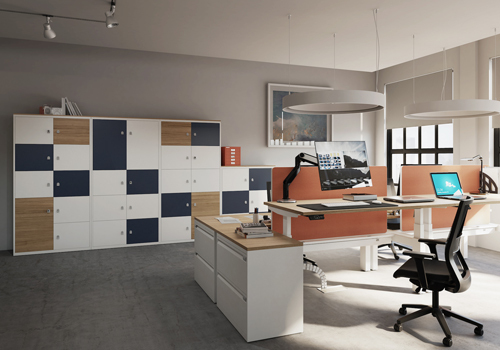 For workers, they’ll have a set place to store things away in a neat and tidy manner. For customers such as in a gym, you can make sure that all of their belongings are out of the way so other people can enjoy the facilities easily. 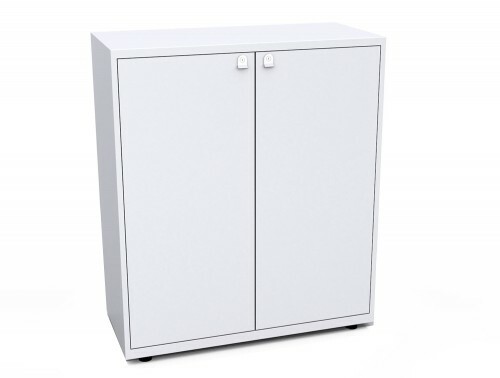 Additionally, we have lodge lockers that offer an optional postal slot, perfect for busy offices that have important mails coming throughout the busy working day or for apartments that need a compartment for sorting out mails for tenants. 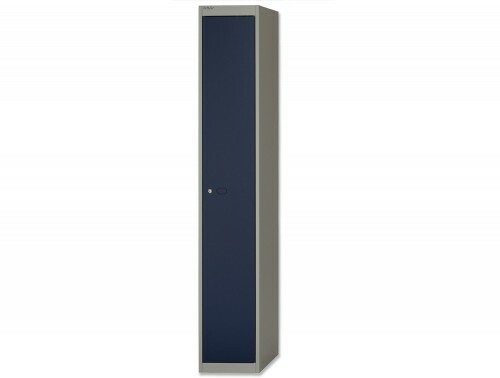 If you’d like to find out more about our range of Lockers or discuss your requirements, simply request a callback.